1962 records – page 1 of 40. 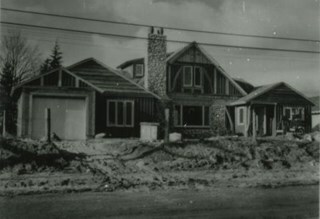 After World War I and the Great Depression of the 1930s, more homes were constructed and subdivisions created in the Burnaby Lake district. The area around Deer Lake gained a reputation for being an "artistic development of commodious homes with park-like grounds." The Ardingley-Sprott Neighbourhood is primarily non-residential and developed in the 1970s west of the Burnaby Lake park area. It grew to include a large recreational component in the form of the Burnaby Lake Sports Complex and playing fields. 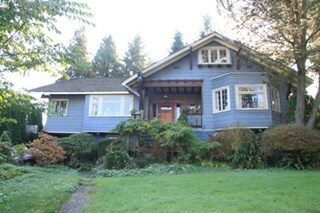 Arthur Long, of the Water Rights Office of Victoria, purchased this land from neighbour Henry Ramsay, and built this beautiful Arts and Crafts styled home. The house appears to have many similarities to the neighbouring Ramsay House, which was designed by Vancouver architect R. Mackay Fripp. The house has retained its original complex gabled roof, triangular eave brackets and horizontal siding. Built by B.C. Government District Engineer Edwin Hamilton George Verner, this large British Arts and Crafts residence is the centerpiece of a beautifully landscaped property named Garranard, Gaelic for “pretty garden.” The house retains its steeply pitched gabled roof with exposed purlins and multi-paned casement windows. The staircase window includes the Verner family coat of arms. 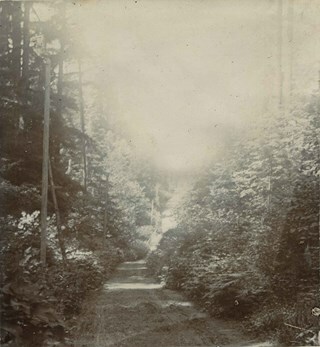 The road currently known as Sperling Avenue was originally the "Pole Line Road" - so named because it served as the route for a power transmission line to connect the Buntzen Lake Power Plant to the Burnaby sub-station at Griffiths Avenue in 1905. It was named after Rochfort Henry Sperling, the Superintendant of the B.C.E.R. Company. The B.C. 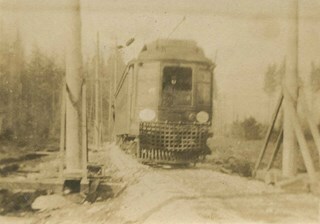 Electric Railway contracted Herbert Gilley to open the Pole Line Road from Hastings to Johnston Road, as Gilley Brothers were already actively logging the area. The Douglas-Gilpin Neighbourhood developed into a diverse area incorporating residential, business, educational and park districts in the period after 1955. 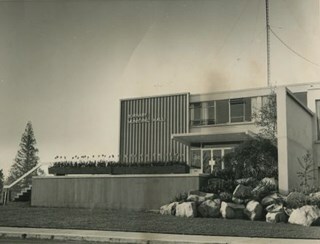 The BCIT site was built in the early 1960s, shortly after the Burnaby Municipal Hall was located on Canada Way near Deer Lake in 1956. The construction of the Municipal Hall at this location fostered the creation of an administrative and business centre adjacent to the park, while the northern and central areas of the neighbourhood retained their primarily residential character. 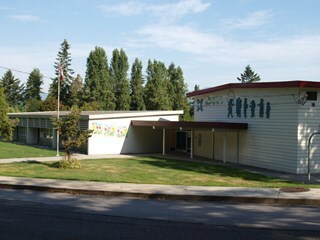 Gilpin Elementary School was built to serve a new housing development extending out from the Douglas Road school area towards the Oakalla Prison site and the Forest Lawn Cemetery. Built in 1966, the school, like other elementary schools of the era, was one-storey, without basement or high stairs. Additions to the building were made in 1969 and 1973. 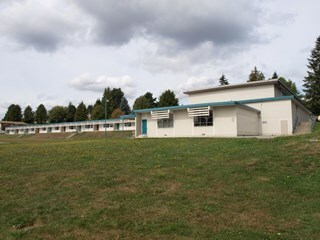 Burnaby Central School became the third high school to be built in Burnaby (following Burnaby North and Burnaby South). 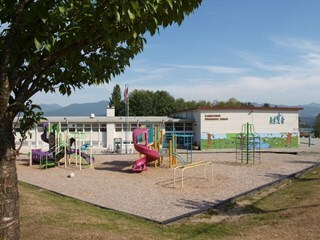 The increased school enrolments due to the rapidly growing population in Burnaby meant that the School District required this third high school to be placed between the other two. 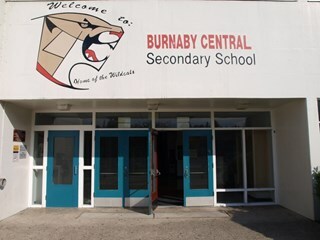 In its first year, 719 students attended Burnaby Central. Buckingham Elementary School opened in 1962 with 86 pupils. The school was intended to take some of the pressure off of both Lakeview and Morley Elementary Schools which saw large volumes of enrolments throughout the 1950s. In 1964, two additional rooms were built onto the school and in 1969 a library, staffroom and medical room were added. The Burnaby School Inspector's report of 1955 estimated that by 1960, the total enrolment in Burnaby would go up by over 8000 pupils. As a result, new schools needed to be built to manage this increase, Lakeview being only one of many. Lakeview opened in 1958 with 193 students. Additions to the school were made in 1965 and 1969. 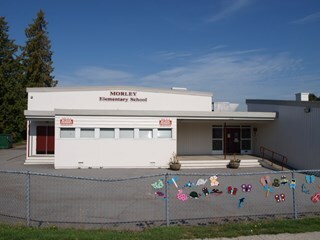 In 1955 Morley Elementary School opened with 292 pupils, an indication of how quickly the residential areas around the Morley area were growing in the post-war period. 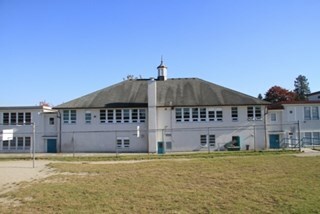 Similar to other elementary schools built in Burnaby at the time, Morley was constructed on one level with classrooms in a line that could be added to as the need arose. Additions were made to the school in 1956, 1960 and 1969. The original resident of this house was John Houston, listed in the 1909 City Directory as a ‘rancher’, but is known as the long-time home of barrister Wrathman Sheridan Turner (1889-1974) and his wife Gertrude Helena (née Whealhouse) Turner. Stucco now covers the original exterior siding, though the house maintains its wide, overhanging eaves with exposed rafter tails and triangular eave brackets, indicative of the influence of the newly-emerging Arts and Crafts style. 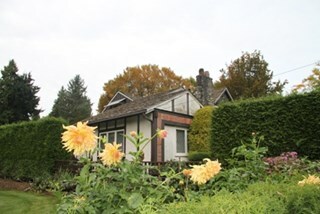 This charming home was built for George Norman Stowe (1885-1955) and his wife Lillian (née Ross) Stowe after they purchased this property from the Municipality of Burnaby in a Depression-era tax sale. George Stowe was a civil engineer with the Provincial Department of Public Works from 1905 until 1950. Inspired by the British Arts and Crafts movement, this stuccoed cottage is notable for its picturesque side gabled roof with sloped eaves, and a jerkin-headed dormer with half-timbering. Multi-paned casement windows are used throughout the house, adding to the picturesque effect. A verandah with a colonnade of pillars on the east side of the home overlooks a ravine. This elegant house is a prominent local landmark, with a bellcast hipped roof, deep bracketed eaves and Doric porch columns. The use of the various Colonial Revival styles had gained new popularity during the 1920s at the time of the American Sesquicentennial, as is evident in the symmetrical façade composition and detailing. It was the home of William Alexander Blott (1878-1962), a shipper at the Broder Canning Company and later a real estate agent, and his wife Edith Carruthers Blott (née Shaw, 1890-1972), who were married in 1913. It is one of the few remaining larger estate homes along the formerly rural Douglas Road. 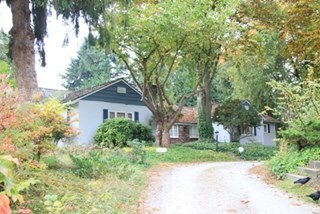 As Burnaby developed into a more urban suburb of Vancouver and New Westminster the Deer Lake area retained much of its rural character. In 1949 Deer Lake park was established on the lake's eastern shore. 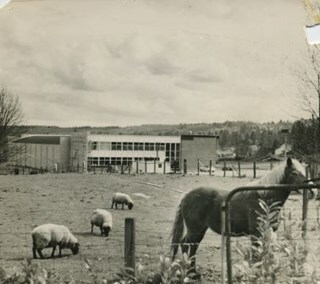 The relocation of the Municipal Hall in the mid-1950s to the Deer Lake area began the vision of developing an administrative and cultural centre for Burnaby. The opportunity for developing this centre began with the opening of the Arts Centre, Century Gardens and the Burnaby Art Gallery in 1967. This was followed by the development of the Deer Lake Park as Burnaby's primary urban park. Douglas Road was built between 1862-1865 by the Royal Engineers based in New Westminster. Originally known as the Douglas Street Trail, it took its name from Governor James Douglas. In 1926 a new connection was made to reach Grandview Road in Vancouver at Boundary Road. To distinguish this new highway it was renamed the Grandview Highway and it became commonly known as the combined Grandview-Douglas Highway until 1968 when the Burnaby and New Westminister sections were renamed Canada Way, in recognition of Canada's Centennial in 1967. The old part of Douglas Road north of Sprott Street remained intact. In their legends, the Squamish native people identified Burnaby's Deer Lake as a mystical location. For generations, one story was told of an underground tunnel connecting Deer Lake with False Creek. In Pauline Johnson's famous book "Legends of Vancouver," the story "Deer Lake" records how Old Chief Capilano chased a giant seal, which escaped through an underground tunnel in False Creek, to Deer Lake in the early 1800s. Aboriginal peoples still came to camp by the Lake up until the early 1900s. 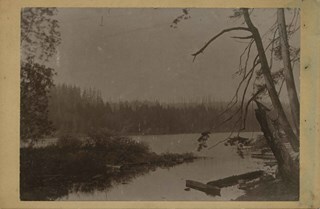 At the turn of the century, Deer Lake was recognized for its tranquility and beautiful scenery, which, in turn, attracted New Westminster and Vancouver residents to relocate to the area and build family homes. Louis Claude Hill home "Brookfield"
In 1894, Burnaby pioneer L. Claude Hill built this home near the shore of Deer Lake. Mr. Hill was married that year to Annie Sara Kenrick, and they took up residence in the house until 1906 when they sold the property and built a new home in the vicinity of Buckingham and Sperling. 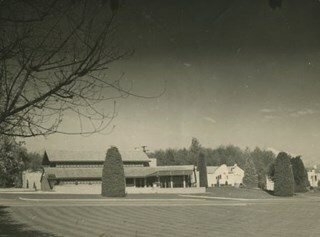 Brookfield was still on the property when the Burnaby Village Museum was planned in 1971 as Heritage Village, but it was removed to make room for other buildings on the site. In 1894, Claude discovered a midden on his farm and recovered many artifacts. In 2002, his descendants donated this valuable collection to the Museum. After New Westminster was established as the Capital City, the surrounding lands were surveyed by the Royal Engineers. The discovery of Burnaby Lake by Robert Burnaby in 1859 soon led to the construction of Douglas Road to Deer Lake in 1861. The completion of the tramline in 1891 renewed interest in the lands around both Burnaby Lake and Deer Lake and soon a group of gentlemen farmers had established strawberry fields and orchards to serve the New Westminster market. These were the most productive and well managed "fruit ranches" in the Fraser Valley. Local strawberries were so admired that they commanded 50 cents more per crate at local markets. One local paper reported that the area appeared as if "an English Village had been taken and planted amidst the grandeur of British Columbia scenery." The Oakalla Prison Farm opened in 1912 and was hailed as the most modern facility of its kind. Initially designed to hold 150 men and 50 women, by the 1950s, the population was well over 1000. A working farm, the prison had its own dairy, vegetable gardens and livestock. 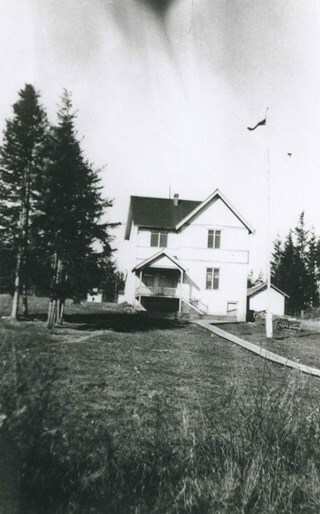 From the beginning, the location of Oakalla on 185 acres of scenic land next to Burnaby's Deer Lake was the source of contention with residents petitioning the government to relocate the prison and by 1979 it was decided to close the farm and 64 acres of land were transferred to Burnaby for inclusion on the Deer Lake Park. In 1991, Oakalla closed forever and the buildings were demolished to make way for a new residential housing development and an expansion of the park. 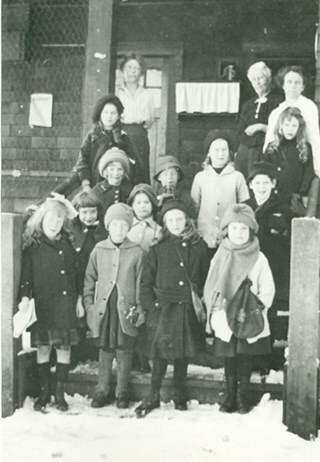 This school was the fifth to open in Burnaby and was initially known as Lake View School. In 1913, names of Burnaby Schools were changed to reflect their location and thus Lake View became Douglas Road. 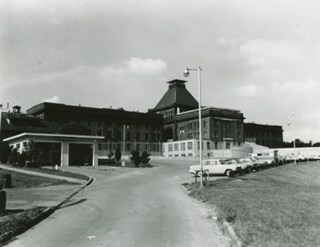 The first building on the site was torn down in the 1950s but the main building, which was constructed in 1928, remains although it had additions and renovations done in 1950, 1954, 1960, 1961, 1967 and 1973. The Burnaby Lake Line was constructed due to the advocacy of Burnaby residents and the Municipality of Burnaby to build the line. A petition was circulated by residents in 1907, and eventually substantial land bonuses were given to the company to induce them to build the line. Property owners in the area hoped the construction of the line would increase their land values. Construction of the 15-mile line was announced in 1909, and the line opened in 1911. The line travelled from Vancouver to New Westminister through central Burnaby.The last day of service was October 23, 1953. 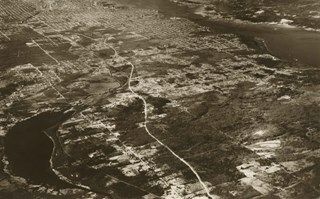 When the Trans Canada highway was constructed in the 1960s, it followed the right of way of the Burnaby Lake Line through Burnaby. The BCER Connaught Cut-off was named after the Duke of Connaught, who visited Burnaby in 1912. The original route of the interurban tramline was built along 12th Street into New Westminister, which proved to be too steep of a route, with many accidents occuring due to the grade. The Connaught Cut-Off was built in 1912 to re-route the interurban tram to the south of its original route from Highland Park Station, avoiding the steep hill on 12th Street. Streetcar service was introduced on the now abandonned track on 12th Street, connecting to the Highland Park Station. This streetcar route was known as the Highland Park Streetcar. In 1966 Burnaby Lake was identified as a key potential regional park in the GVRD ’s Regional Park Plan for the Lower Mainland. The lake was to be developed for nature study, strolling, trail riding, canoeing, sightseeing and picnicking. It was formally recognized as a regional nature park in 1979, at which time the GVRD assumed management of the park through a lease agreement with the City of Burnaby. In 1993 Burnaby Lake was selected by the City of Burnaby to be included in Greater Vancouver ’s Green Zone, and was identified as a key component of the GVRD ’s Park and Outdoor Recreation System (PORS) for the Burrard/Peninsula/Richmond sector, which includes Burnaby, Vancouver, New Westminster, and Richmond. 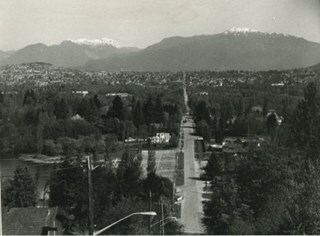 In the 1980 "Residential Neighbourhood Environment Study," the Morley-Buckingham Neighbourhood is described as "perhaps Burnaby's most prestigious residential area. The lots are larger than most other areas of the Municipality and this, along with the new expensive housing developed over the past 10 years, has created a very desirable residential neighbourhood...The older area of Buckingham lies at the lower edge of the slope and here the homes and streets are more uniform and aged between 20 and 25 years old...to the east of Canada Way lies...a cluster townhouse development." This home was built by Captain William J. Eyres. 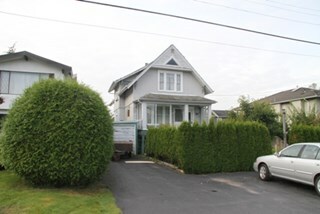 In 1912, it was reported in The British Columbian: “Captain Eyres of Seattle is remodelling the front of his house on Douglas Road and otherwise improving it.” The house was later sold to William A. Mawhinney, who subsequently built houses at 6011 Buckingham Avenue and 7616 Burris Avenue. This spacious, high-quality Craftsman bungalow remains in excellent condition. It features a cross-gabled roof with multiple half-timbered front gables with large exposed purlins, in contrast to the shingle cladding on the rest of the house. At the front corner is a glazed sun-room. The entrance porch features tripled square columns. The property still has a beautiful garden, but once included large vegetable gardens, an orchard, and a large chicken house. This church was built in 1936 as the Chapel of Peace for the Forest Lawn Cemetery. 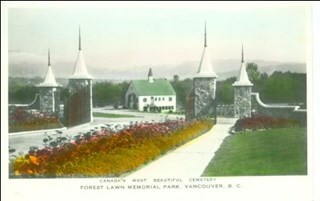 It was located outside the main entrance of the cemetery at the triangular parcel of land bounded by Sprott, Royal Oak and Canada Way. It served as the location for many memorial services, local community worship and weddings. The Anglican Church purchased and relocated the building to its present site in 1955. The church has been altered with the addition of wings and stucco, but retains its steep front gabled roof and some of its arched windows. It is now used as the First United Spiritualist Church. The Douglas Road School was originally established as a two-room school in 1908 on this site, and later expanded to four classrooms. Anticipating rapid settlement of this district, the School Board purchased two acres adjoining the old building. Two of the four rooms were designed to become one large auditorium suitable for special events and public gatherings, with seating for two hundred people. The classically-influenced school has been altered with new windows and extended with additional wings, but has retained its original red-brick veneer, tan-brick quoins and bellcast octagonal roof ventilator. Designed by McCarter & Nairne, the school was built by contractor A.S. Perry. McCarter & Nairne, who also designed the Second Street School, were the Burnaby School Board architects at this time. John Y. McCarter (1886-1981) and George Nairne (1884-1953) formed their partnership in 1921 after serving overseas during the First World War. The partners began designing houses and small apartment buildings, and their commissions included Vancouver’s first skyscraper, the Marine Building (1928-30). Forest Lawn Memorial Park was founded and designed by Albert F. Arnold, who wanted to design a memorial park “which would be a place of perpetual beauty and which would banish the ‘graveyard’ taint from such places forever.” The 145 acres of Forest Lawn were designed as a garden, which overlooks Vancouver and has a magnificent view of the mountains. Called “God’s Acres,” with white-shelled walks and piped sacred music, the design allowed a natural setting to offer solace to grieve. Bronze memorial plaques were used rather than headstones, which would have marred the garden effect. Arnold acted as a consultant to memorial parks all over Canada and the United States and many of his innovations have become standard practice in North American cemeteries. Equipped with its own greenhouses, the park has more than a million plants of all types. The chapel, which sits on the lower southern slopes, is a sophisticated modernist structure that was designed by renowned local architects McCarter & Nairne. Danish builder Hans Jorgensen Hau (1878-1944) and his wife Anna (née Sorenson, 1874-1956), constructed this highly-distinctive Tudor Revival residence circa 1935. This was a time of entrenched traditionalism, and most domestic architecture reflected period revival styles. Tudor elements have been compressed here into a cottage form, including a distinctive front façade with half timbering and brick noggin; on the sides the nogging is rock-dash stucco. Casement windows contribute to the cottage appearance. The rear façade is clad with more utilitarian shingles. A prominent brick chimney exhibits angled and corbelled brickwork. Hau worked as a bricklayer and stonemason, and this house has common elements with the Moore Residence at 5165 Sperling Avenue, which Hau designed and constructed in 1943. 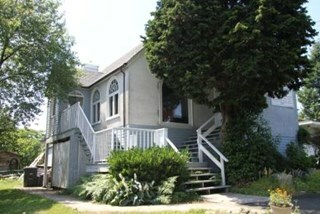 This house was built for Henry Ramsay and his wife, Elsa Kirby (née Burnett), who were married at Holy Trinity Cathedral in New Westminster in 1910. Henry was a real estate agent, originally from Newcastle-on-Tyne, England. Beautifully designed in the Arts and Crafts style, it follows the ideals of the movement in the use of native materials. The wooden construction includes timber porch and roof brackets. The roofline is of a notably low pitch. English-born architect Robert Mackay Fripp (1858-1917) had a varied career working at various times in England, New Zealand and Los Angeles. Fripp found the opportunity in British Columbia to promote his passion for British Arts and Crafts aesthetics through a series of residential and institutional commissions. 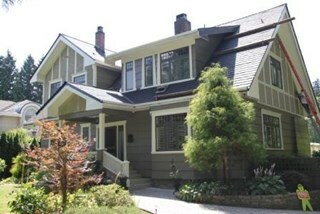 The Ramsay Residence was built at the height of the Arts and Crafts movement, and Fripp’s output during this period was prolific; his residential designs ranged from modest California bungalows to stately Tudor Revival homes in Shaughnessy, Point Grey and Kerrisdale. This elegant house was built by contractor C.G. Bowden. This front gabled residence is characteristic of workers houses from the Edwardian era. One of the oldest houses in this area, it retains numerous original architectural elements such as its double-hung windows with multi-paned upper sashes, triangular eave brackets and a glazed front door with applied ornamentation. 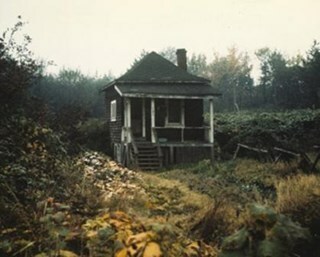 It was built for Isaiah Poirier in a subdivision that was created adjacent to the Rayside station of the Burnaby Lake interurban line of the B.C. Electric Railway. This bungalow was built by local farmer William Alexander Mawhinney (1870-1953) and Annie J. Mawhinney (1871-1956). This was one of several houses built in the immediate vicinity by members of the Mawhinney family between 1909 and 1930. William Mawhinney first came to Burnaby to help his brother Isaiah establish his fruit farm. In about 1930, William and Annie Mawhinney built a new house at 6011 Buckingham Avenue. This home is architecturally notable for its unusual front-gabled dormer, which is divided into parallel ridges at its peak. Though the original exterior wall siding has been covered by a later coat of stucco, it otherwise remains in largely original condition including double-hung windows with multi-paned upper sashes, front door with full-length sidelights and a decorative built-in window box. 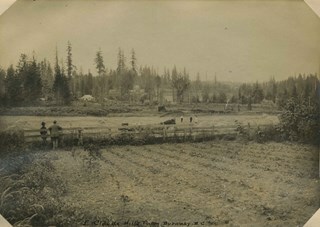 Along with logging and sawmills, Burnaby became known as a prime agricultural area and the Burnaby Lake Neighbourhood saw the development of many vegetable and fruit farms. Growers in the Burnaby and Deer Lake districts took their produce to the tram line on Edmonds Street and shipped it to markets in New Westminster and Vancouver on a specially designed interurban freight car that was open-sided for easy loading. The car's canvas curtains which sometimes came loose and flapped like wings in the wind led people to dub it "the flying dutchman." Most Burnaby fruit and vegetable growers depended on seasonal Chinese work forces and other local Chinese farm residents to oversee operations; these workers being recruited from New Westminsters' Asian community. Besides being good farmers, Burnaby Lake's early residents fostered a strong sense of community. Both L. Claude Hill and his brother Bernard were elected to Burnaby Municipal council and Bernard was the one who knocked on doors to find enough children to meet the qualifications for establishing a school in the district. When staff outgrew the municipal buildings at Edmonds and Kingsway, a debate erupted over where to build a new municipal hall. North Burnaby residents argued against the Kingsway and Edmonds site as it was too removed for their needs, but South Burnaby residents were not prepared to accept a hall in North Burnaby. The debate was finally resolved when it was suggested that the new civic centre for the municipality be in the exact geographic centre of Burnaby. Fortunately, this meant that the new hall was to be built near Deer Lake, in the beautiful Central Valley setting. Burnaby voters accepted this decision and approved the $625,000.00 it would take to build the new structure and the official opening ceremony was held June 22, 1956 when then Reeve Charles MacSorley received the keys to the hall from the contractor. 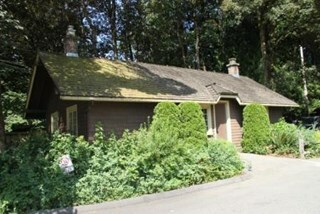 The Burnaby Village Museum is a ten-acre heritage site located adjacent to Deer Lake. The site was originally created as a B.C. Centennial Project in 1971. The official sod turning for was April 11, 1971 by the then Governor General of Canada Roland Mitchener. 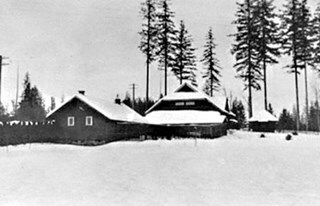 The Village was initially managed by the Century Park Museum Association, a volunteer society of Burnaby citizens. Over the years many heritage building which could not be maintained in their original locations have been moved to the museum. Today half of the buildings in the village are heritage structures and the remainder are reproductions. 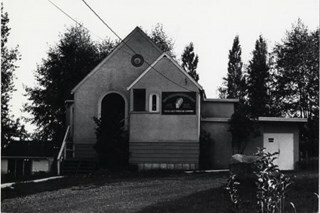 In 1990 the City of Burnaby assumed direct management of the Village, and the museum became part of the Parks, Recreation and Culture Department. Visitors can enjoy the shops on Hill Street, ride the Parker 119 Carousel, and climb aboard the Interurban 1223 tram. 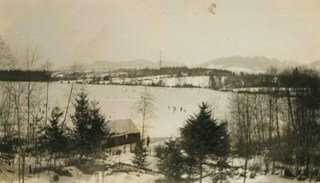 Skating on Deer Lake and Burnaby Lake was the inspiration to form the Burnaby Winter Club in the 1950s. 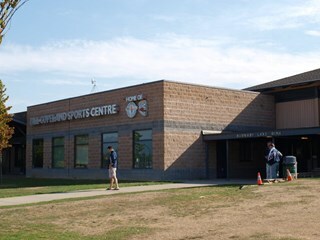 In 1958, the volunteer group opened an indoor ice facility, still operating today at 4990 Canada Way. Originally, the facility boasted 8 sheets of curling ice, that were used to capacity by the more than 500 family and individual members in the heyday of the Club. 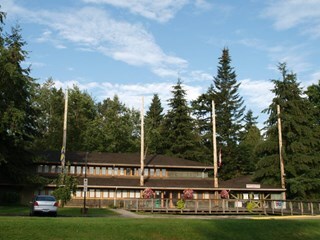 The Winter Club was a social centre: in addition to curling, it was a popular place for banquets and dances, and a place for families to spend time together. In the 1960s, the eight sheets of curling ice were reduced to five, to make room for a sheet of hockey ice for the members’ children. Volunteer coaches were committed to excellence, and the Club produced many professional hockey players. By 1964, the Club’s first future NHL player was playing: Pee Wee player Jack McIlhargey. In February 1965, the Planning Department presented to Burnaby Council a preliminary Development Plan entitled "Pacific Sports Centre," for the area immediately west of Burnaby Lake. This report proposed a conceptual plan for a comprehensive range of indoor and outdoor sporting facilities adjacent to Burnaby Lake. The idea was accepted by Council and led to the construction of the Burnaby Lake Rink beside the C.G. Brown Pool. 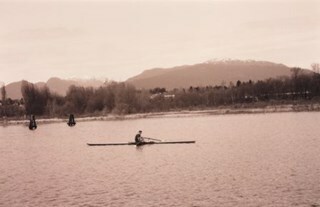 In 1973, Burnaby and New Westminster jointly hosted the Canada Summer Games for which a rowing course and pavilion were built at Burnaby Lake and the success of the games and the sports facilities added within Burnaby Lake Park provided further stimulus for the creation of the sports and recreation facilities at this site. 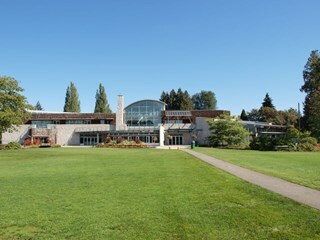 The Shadbolt Centre for the Arts opened in 1995. The Shadbolt Centre was named after two Burnaby residents who dedicated a lifetime of support and cultivation of the arts locally, nationally and internationally. Doris and Jack Shadbolt resided in Burnaby for over 50 years until Jack's death in November 1998. Doris Shadbolt spent her life's work bringing the artist and the audience closer together through her writing and curatorial work. Jack Shadbolt was an internationally recognized Canadian painter. He was also an author and both received many awards including the Order of Canada. In keeping with the Shadbolts' generosity the arts, Jack Shadbolt donated two of his paintings to the Centre for permanent display. The Rosalie (Moore) Barrett Residence is a one-storey ranch-style bungalow with a cross-gabled roofline, located on Sperling Avenue. It is located within the Deer Lake Park Heritage Precinct, and is adjacent to a related house, the Ethel Moore Residence, built the previous year. This house is significant for its connection with first owner, Rosalie Barrett, the daughter of Ethel Hutchings Moore, who lived in the adjacent house at 5145 Sperling Avenue. A spacious modernist bungalow, it was constructed in 1942, and was designed by Rosalie Moore herself. Moore intended to build several houses on this property, but further development was curtailed due to wartime restrictions on domestic construction. The Rosalie (Moore) Barrett Residence is a testament to Deer Lake's continued popularity as a residential neighbourhood in the 1940s. Although Burnaby was serviced by a number of transportation links at the time, the increasing availability of automobiles provided improved access to outlying suburbs. Rising real estate prices in Vancouver and New Westminster attracted residents to this neighbourhood because of its relative affordability, central location and beautiful scenery. 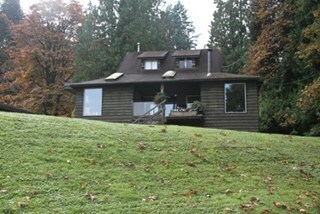 The Rosalie (Moore) Barrett Residence is comprised of a single residential lot located at 5155 Sperling Avenue, Burnaby. The Montague and Marcia Moore Residence, situated on Sperling Avenue, is a one and one-half storey wood-frame house with Tudor Revival elements such as half-timbering and diamond-leaded windows. 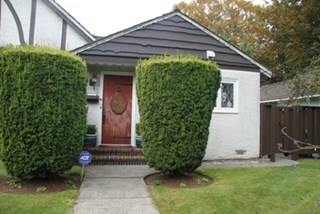 The landscaping includes a large hedge at the front of the property. It is located on a lakefront site within the scenic Deer Lake Park Heritage Precinct. Located within the historic Deer Lake Park neighbourhood, the Montague and Marcia Moore Residence is valued as an example of the late persistence of the historicist influence on domestic architecture, at a time when it was still considered the height of good taste for a house to be designed in a recognizable period revival style. This is reflected in the rustic Tudor Revival elements such as half-timbering, waney-edged boards in the gables, brick nogging, diamond-leaded windows, and bird houses in the main gable. The cobblestone chimney, the major focal point of the house, was constructed from river stones that were transported from Lynn Canyon. Meticulously retained in its original condition, this was the last home to be constructed by the Moore family before the Second World War construction supply rationing took effect. It was built by Danish contractor, Hans Jorgensen Hau (1878-1944), who had a flair for the construction of homes with a rustic character, and shares a number of design features with Hau’s own house at 5070 Canada Way. The Montague and Marcia Moore Residence is comprised of a single residential lot located at 5165 Sperling Avenue, Burnaby. 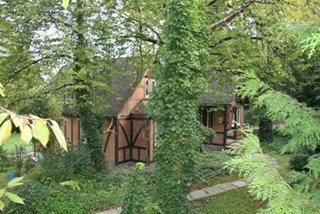 The Woodward House is a two-storey plus basement, wood-framed house with British Arts and Crafts influences. It is set in a wooded landscape on a lakefront property, on Sperling Avenue within the Deer Lake Park Heritage Precinct of Burnaby, with expansive views of the lake. 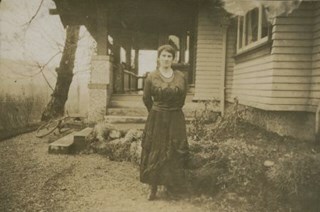 Maud Sarah Woodward (1865-1958), a pioneer nurse originally from England, and her sister Harriet Julia Woodward (1879-1969), one of Burnaby’s first teachers, had this large house built in 1912 to replace the smaller cottage they owned nearby at 5141 Sperling Avenue. Farmer, builder and longtime Deer Lake resident, Bernard R. Hill (1858-1939), was hired as the contractor. The Woodward House played an important role in the Deer Lake community. The Woodward sisters were tireless community organizers and volunteers. This house served a number of functions, and in addition to being the sisters’ home was the local post office until 1949 and also a private kindergarten/school until 1935. Originally designed in the British Arts and Crafts style with a simple rustic exterior of cedar shingles, it is an excellent example of the type of residence constructed by middle-class citizens in the Deer Lake neighbourhood. The B.C. 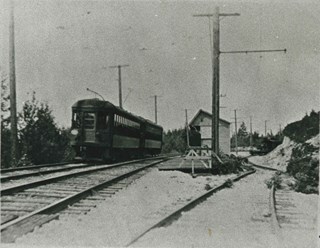 Electric Railway's Burnaby Lake Interurban line, which opened June 12, 1911, fostered the development of Deer Lake as well as other Edwardian era neighbourhoods in Burnaby. The Woodward House is comprised of a single residential lot located at 5195 Sperling Avenue, Burnaby. Located atop a hill on the southern shore of picturesque Deer Lake, the Alfred and Ruth MacLeod Cottage is a one and one-half storey, wood-frame, rustic Arts and Crafts-style bungalow. 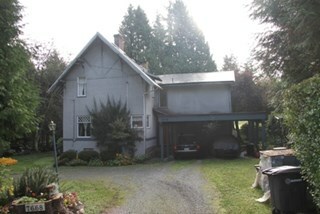 The cottage is well-maintained, but has been altered through the enclosure of much of its original wraparound verandah. Its sits on the brow of a steep slope, with panoramic views north to Deer Lake. 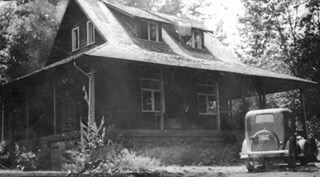 The Alfred and Ruth MacLeod Cottage is valued as a significant example of the early development of summer estates in Burnaby, specifically in the Deer Lake neighbourhood, that attracted residents from the burgeoning cities of New Westminster and Vancouver. Access to the area was facilitated by the construction of the Burnaby Lake Interurban tramline, which opened in June 1911. This modest, rustic cottage illustrates the desire for a simple country lifestyle and retreat into nature of those who settled on the south shore of Deer Lake. While the grand mansions on the north shore of Deer Lake are set in formally landscaped gardens, the informality of this cottage demonstrates reverence for its natural, wooded surroundings, oriented towards views of Deer Lake. 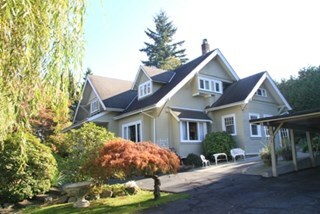 The Alfred and Ruth MacLeod Cottage is important for its connection with prominent New Westminster insurance and real estate broker, Alfred W. MacLeod, and his wife, Ruth. The MacLeods had recently constructed a large city home, and built this cottage as a summer residence in 1913. 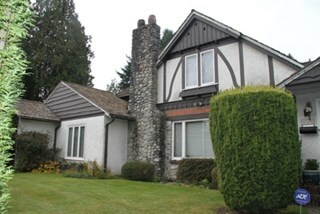 In 2005, the Alfred and Ruth MacLeod Cottage was purchased by the City of Burnaby and today constitutes part of the Deer Lake Park Heritage Precinct, which is Burnaby's most significant collection of historic sites. 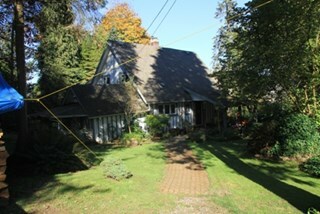 The Alfred and Ruth MacLeod Cottage is comprised of a single residential lot located at 6466 Deer Lake Drive, Burnaby. The J.D. Shearer House is a one and one-half storey British Arts and Crafts-style house distinguished by its picturesque roofline, half-timbered rough-cast stucco cladding on the upper floor and battered window casings. 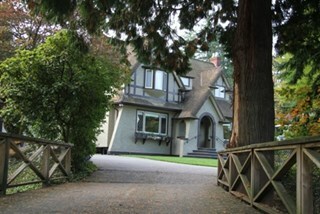 It is located on the south side of Buckingham Avenue at Haszard Street in Burnaby's Deer Lake neighbourhood. Built in 1912, the J.D. Shearer House is an excellent example of the high quality residences constructed in the British Arts and Crafts style by affluent citizens in Burnaby's Deer Lake neighbourhood, promoted at the time as the equivalent of the prestigious Shaughnessy Heights development in Vancouver. The site of this house was part of Louis Claude Hill's Buckingham Estate subdivision. Development of these Edwardian era neighbourhoods in Burnaby was facilitated by the B.C. Electric Railway interurban line. In addition, the increasing availability of automobiles to the well-to-do families of the era sped up the process of urbanization in the outlying areas of Vancouver. Built for retired English military officer John D. Shearer and his wife, Katherine, the British Arts and Crafts design of the house represents associations with the Mother Country and the displays of patriotic loyalty considered desirable characteristics at the time. The picturesque charm and character of rural England is evoked in harmony with its woodland setting. The J.D. 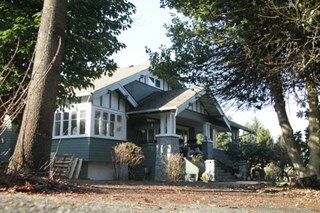 Shearer House is comprised of a single residential lot located at 5573 Buckingham Avenue, Burnaby. Designed in the British Arts and Crafts style, the ‘Fairacres’ Steam Plant Buiding is a single-storey wood frame building with a gabled roof that originally housed the apparatus for climate control in the greenhouses, formerly located to its north. The original rubble stone walls that formed the foundation for the greenhouses stand adjacent. The Steam Plant Building stands as a pendant to the Root House, which is to the north of the former greenhouses. The outbuildings at 'Fairacres' are a rare surviving architecturally-designed ensemble of agricultural structures that exist in complementary harmony with the main estate house. Architect Robert Mackay Fripp (1858-1917), an outspoken advocate of Arts and Crafts design, was retained by the Ceperleys to design several original outbuildings on their estate. The Ceperleys operated 'Fairacres' with staff, a farm manager and workers, including Chinese, to grow produce for themselves and for sale at local markets. The Steam Plant Building illustrates the market gardening activity of the area around Deer Lake and its importance to the Ceperley family, which valued a year-round supply of fresh fruit and vegetables for the kitchen and flowers for the house. It also illustrates the cultural and aesthetic values of the Ceperleys in retaining an architect to design a functional outbuilding using an accepted and contemporary architectural style. Built in 1908, the Steam Plant Building was significantly altered in the 1960s and restored to its original design in 2000. 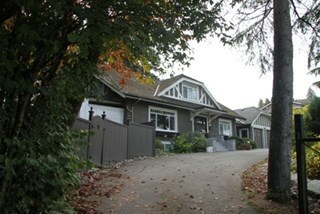 ‘Fairacres’ is comprised of a single municipally-owned property located at 6344 Deer Lake Avenue, Burnaby. Designed in the British Arts and Crafts style, the Chauffeur's Cottage is situated across from the main entrance to the Ceperley Mansion, and adjacent to the Garage and Stables. A long, narrow single-storey building, it was constructed by joining together two modest estate cottages. The outbuildings at 'Fairacres' are a rare surviving architecturally designed ensemble of agricultural structures that exist in complementary harmony with the main estate house. Architect R.P.S. Twizell (1875-1964) was retained by the Ceperleys to design several original outbuildings on their estate at the same time as the main house was constructed. The Chauffeur's Cottage illustrates the increasing importance of the automobile in the lives of the wealthy of the early twentieth century. It also demonstrates Grace and Henry Tracy Ceperley's social aspirations and grand-country-estate pretension in having a chauffeur. The cottage's location - close to the garage and convenient, but not adjacent, to the main house - enhances the grand country house landscape design and contributes to the overall composition of the estate's plan. The Arts and Crafts styled Chauffeur's Cottage is important as an indicator of the aesthetic and social sensibilities of the Ceperley family in retaining an architect to design a modest building for staff accommodation. 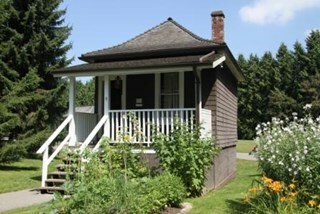 The Thomas Irvine House is a very small, two room wood frame cottage, originally located on Laurel Street in Central Burnaby (now the site of the Burnaby Lake Sports Complex - West), and now relocated to the Burnaby Village Museum. The Thomas Irvine House is representative of an extremely modest, vernacular working-class cottage of the early twentieth century, once common but mostly now demolished. Irish-born Thomas Irvine (1864-1964) and his friend, Robert Moore, constructed the house in 1911 to suit the simple needs of a bachelor. Irvine worked on the construction of the British Columbia Electric Railway Burnaby Lake Interurban Line and was a pile driver by trade. The house consists of two rooms, a living room/kitchen and a bedroom. There were some improvements made throughout the fifty years Irvine lived there, such as running water in 1929, and electricity in the 1950s, but the essential character and form of the house remained intact. Irvine was a well-known local character and pioneer of Burnaby. 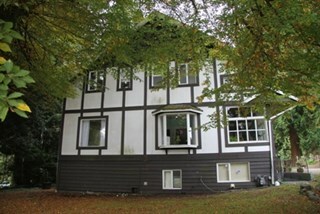 The heritage value for this house also lies in its interpretive value within the Burnaby Village Museum. The site is an important cultural feature for the interpretation of Burnaby’s heritage to the public. 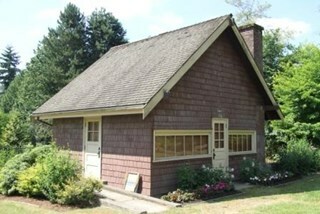 The Thomas Irvine House was moved to the Burnaby Village Museum in 1975 and was restored to its 1920s appearance. This memorial granite drinking fountain is a monument to Burnaby’s municipal employees who lost their lives in the First World War. It has been relocated from its original setting to a shaded arterial pathway within the Burnaby Village Museum. The fountain is an early civic monument with superior massing and detail, constructed of local materials by local stonemason William Williamson. 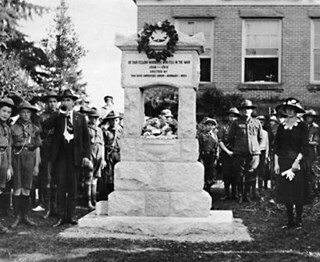 It was erected by the Burnaby Civic Employees Union (now CUPE Local 23) in 1923, on Burnaby’s original Municipal Hall grounds located at Kingsway and Edmonds Street, to honour their members who lost their lives in the First World War, commemorated by an engraved memorial at the top of the fountain. It signifies an important connection with the early strength and prominence of the civic labour union in Burnaby, as this was a memorial erected by the union members themselves, rather than by the civic government. Many war memorials were constructed across Canada after the end of the First World War, however, most are static, inviting passive contemplation. This memorial is unusual in its combination of functions; its use as a drinking fountain invites active participation. The memorial also includes a stone drinking bowl for dogs at the bottom left of the memorial, further illustrating the daily functional use of the fountain. The heritage value for this fountain also lies in its interpretive value within the Burnaby Village Museum. The site is an important cultural feature for the interpretation of Burnaby’s heritage to the public. 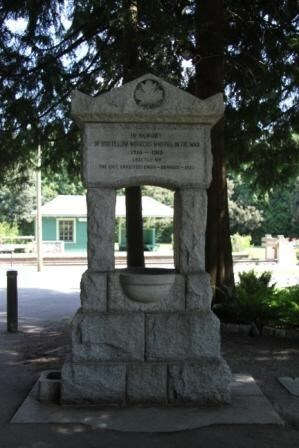 The fountain was moved to the Burnaby Village Museum in 1974. Local farmers William Alexander Mawhinney (1870-1953) and Annie Josephine Mawhinney (née Sutcliff, 1871-1956) built this residence as their retirement home. It was the last of several houses built in the immediate vicinity by members of the Mawhinney family between 1909 and 1930. Born in Ireland, William Mawhinney first came to Burnaby to help his brother Isaiah establish his fruit farm. Due to his farm management experience, in 1908 William became foreman of the Avalon estate at Deer Lake that was owned by F.J. Hart. 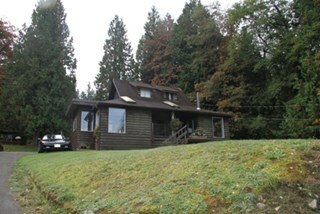 When he retired in 1930, William had fifty years of experience as a fruit and grain farmer.This house is situated on its lot at an angle, rather than parallel to the street, to take advantage of the view of wooded Buckingham Creek that runs through the northeast section of the property. Complementing the picturesque character of the property is this charming cottage-style residence, which is an excellent example of an interwar Storybook Cottage. During the years between the two World Wars, domestic styles in North America were resolutely historicist. In order to display good taste, it was expected that a house would have an identifiable period revival style. As economics dictated that houses of the time were generally modest, they often assumed a cottage appearance that provided a romantic ideal of traditional domesticity. The American Sesquicentennial reinforced this historicist trend, and the most popular Hollywood movies of the time were swashbuckling costume dramas. With its distinctive roughcast stucco and half-timbering, this house is an excellent example of this housing trend. The rolled roof edges, with steam-bent cedar shingles, simulate a traditional thatched roof. Other picturesque features include a front porch with round-arched openings, battered wall buttresses, an oriel window and diamond-paned leaded casement windows. The Mortimer-Lamb House is a one and one half-storey, Arts and Crafts-style residence with a steeply pitched, side-gabled roof. The original cottage form has been enlarged with a later addition on the west side of the house. Located next to the Burnaby Lake Regional Park Wildlife Rescue Care Centre, the house has picturesque views of Burnaby Lake. Built circa 1922, the Mortimer-Lamb House is valued for its association with first owners, Harold Mortimer-Lamb (1872-1970), and his wife, Katherine Mary Mortimer-Lamb (1873-1939). Born in Leatherhead, Surrey, England, Harold Mortimer-Lamb immigrated to Canada in 1889. Seven years later in Vancouver, he married Katherine Mary Lindsay, a native of Winnipeg. Mortimer-Lamb was a key figure in the B.C. mining industry, serving as Secretary of the Mining Association of B.C. between 1900 and 1945, and also as the Secretary of the Canadian Institute of Mining and Metallurgy. 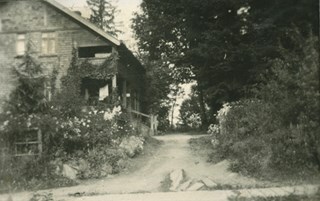 In addition to his professional life, Mortimer-Lamb was a pioneer art photographer and was among Canada's leading art critics, and this house served as a central gathering place for renowned Canadian artists of the day. Mortimer-Lamb’s daughter, Molly Lamb Bobak (born 1922), became a renowned watercolourist, and was the only woman ever hired as an official Canadian war artist. The Mortimer-Lamb House is a significant example of the work of noted architect, Samuel Maclure (1860-1929) and his partner, Ross Lort (1889-1969). Maclure, who was a close friend of the Mortimer-Lamb family, was British Columbia's leading residential architect, and was renowned for his high quality designs for prominent citizens in both Vancouver and Victoria. 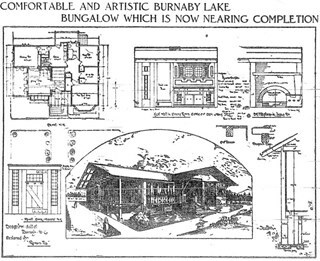 Maclure was a leading exponent of the Art and Crafts design movement in B.C., and established a sophisticated local variation of residential architecture. The Mortimer-Lamb House was designed at the time when Maclure was in partnership with Ross Lort. In 1907, Lort began working for Maclure's firm as a draftsman, and by 1920 was in charge of Maclure's Vancouver office. Lort's architectural career spanned some sixty-years, and he designed some of the province's most familiar houses, apartments, institutions and places of worship. The Mortimer-Lamb House is also a significant local example of the Arts and Crafts style, and incorporates elements such as board-and-batten siding on the ground floor, shingled gables and leaded casement windows. It is a testament to the domestic architecture built outside of established suburbs during the post-First World War era, typically modest in scale and representative of middle-class residential ideals. 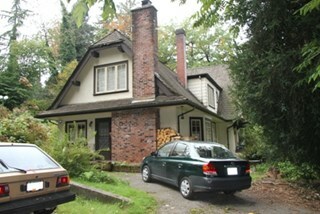 The Mortimer-Lamb House is comprised of a single residential lot located at 5180 Glencairn Drive, Burnaby.